We are proud to partner with VetsFirstChoice online pharmacy to provide over 9000 different products that can be shipped directly to your home. Click here to browse the catalog! 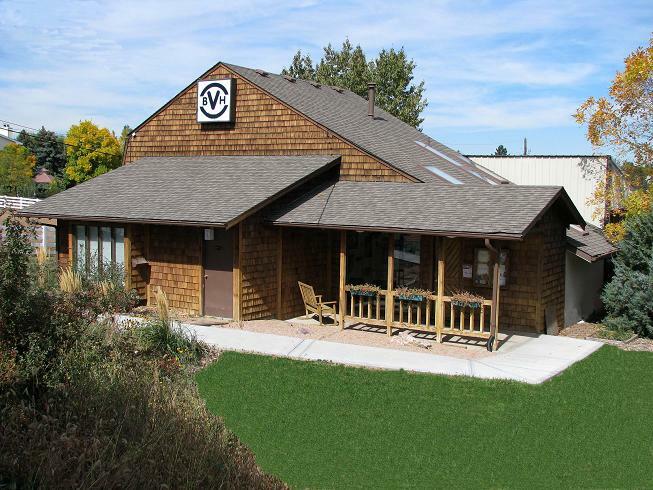 Located in Littleton, a suburb southwest of Denver, the veterinarians and technicians at Bouton Veterinary Hospital are committed to your pet's health and excel in the science of veterinary medicine and individualized patient care. Founded in 1940 by Dr. Bouton, it was owned and operated for many years by Dr. Charles Skow and his wife Dr. Deborah Caldwell. In 2010 they turned the practice over to Dr. Lara Houston, a graduate of the University of Pennsylvania School of Veterinary Medicine. Dr. Houston worked closely with Dr. Caldwell for many years before acquiring the practice and takes pride in maintaining the high ideals set by the veterinarians before her. Dr. Lisa Chase was hired on in July of 2015. She is a graduate of Tuskegee University and moved to Colorado from Florida in May of 2015. We are proud to provide superior medical, surgical, and dental veterinary care as one stop for your pet’s health and well being. Our facility is equipped with a readied surgical suite, in house pharmacy, laboratory and a digital x-ray machine. We also have a working relationship with various veterinary specialists in the Denver area and are happy to utilize their expertise when the need arises. Bouton Veterinary Hospital is a full-service animal hospital whose mission is to provide the highest standard of veterinary care and compassion for all cats and dogs. We take pride in our friendly, informative and personalized approach to veterinary medicine. Dr. Houston grew up in Pennsylvania and is a 2000 graduate of the University of Pennsylvania School of Veterinary Medicine. She has practiced in Florida, Pennsylvania, Delaware and here in Colorado for the past 6 years. Dr. Houston was married in 2007. She and her husband welcomed their first son, William, on Thanksgiving 2008. Lisa Chase was born and raised in south Florida and has recently followed her life-long dream of living in Colorado. Dr. Chase lives in Castle Rock with her husband Gabe, daughter Gwendolyn and her two cats, Kuro and Shiro. Dr. Chase wanted to be a veterinarian ever since she was very young and she accompanied her mother to the family veterinarian when her cat was injured. Dr. Kathleen Miller graduated with her DVM from Iowa State University in May of 2016. She is from Omaha, Nebraska and received her B.S. in biology from the University of Oklahoma. She first practiced veterinary medicine in Austin, TX before making the move to lovely Colorado. Dr. Miller has three dogs, Gracie, Mac and Pete; she also has two Kenyan sand boas, William Shakespeare and Severus Snake. She enjoys spending time with her husband, running, hiking, reading, and traveling. "I can't say enough about BVH. DR. Houston and everyone else does such a stand out job. They have cared for so many of our rescue pups and they will going forward. I had to bring our Chihuahua Jake in today and they were so sweet and caring. He got meds and proper care. He's now resting comfortably. We've been at Bouton for almost 10 years and won't go anywhere else." "We recently switched to Bouton and have been seeing Dr. Houston. I wish we had switched a long time ago! Dr. Houston has spent a couple appointments with us now and I can say that out Kanga dog is so much happier than she's been in awhile. Our cat also made a visit to Bouton last week! I am so glad we found such caring people to treat our pets. Also, shout out to Judy at the desk for being so helpful and patient with me! Thank you all!!"